This award recognizes and honors individuals of extraordinary vision and accomplishment whose contributions to the betterment of society and the human condition are both exceptional and broad-reaching. The activities associated with the award provide an opportunity for members of our campus community to benefit from the knowledge, experience and inspiration of these extraordinary people. The Presidential Medal was designed by a four-member team made up of MSU art students. Learn more about its origins of the Presidential Medal. An important element of our University's mission is to contribute to attaining and sustaining social and economic well-being while valuing and cultivating a deeper appreciation of cultural and philosophical diversity. A crucial step in that endeavor is understanding our global societies and the mechanisms through which they operate, interact and evolve. We believe that we can contribute to this mission by celebrating unique individuals of international standing who have made significant contributions to global social progress and by sharing their vision and experience with our campus community. 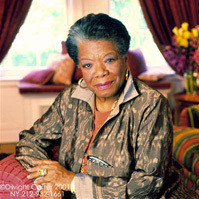 Dr. Angelou is considered one of America's greatest voices of contemporary African-American literature, in addition to being a celebrated poet, memoirist, educator, historian, filmmaker, and civil rights activist. 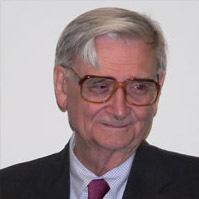 Entomologist Edward O. Wilson, a research professor at Harvard University, is the third recipient of the MSU Presidential Medal. Edward is a two-time Pulitzer Prize winner and known as the Father of Biodiversity. 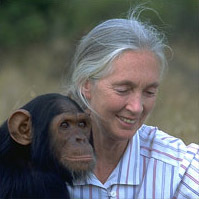 Dr. Goodall, who is an environmentalist and humanitarian as well as a primatologist, began her landmark study of chimpanzees in Tanzania in 1960 under the mentorship of anthropologist and paleontologist Louis Leakey. Her work at what was then called the Gombe Stream Chimpanzee Reserve became the foundation of primatological research and redefined the relationship between humans and animals. Shirin Ebadi stood up to conservative clerics while pioneering efforts to improve women's and children's rights in Iran. Her refusal to be silenced and willingness to address sensitive political issues have earned her international acclaim and, in 2003, the Nobel Peace Prize. She is the first Iranian and the first Muslim woman to receive the prize. 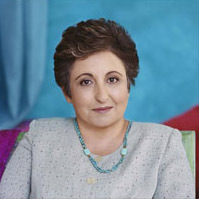 Read more about Shirin Ebadi. Awardees are recognized for their significant contribution to advancing our understanding of societal dynamics, as evidenced by their involvement in scholarly and/or humanitarian activities that have had substantial positive impacts on a global scale. Nominees will be evaluated on the basis of their intellectual and humanitarian contributions, societal impact, the innovation inherent in their contribution, and their courage and character. Awardees are expected to give a public lecture at MSU where they will be presented with a citation and a medal. This can occur at any time of the year. The award is not contingent on a connection between the awardee and Montana. Please contact Linda Young for questions about the Presidential Medal or to nominate a potential recipient for consideration.